The Silicon Valley/San Jose Business Journal has named UC Santa Cruz vaccine expert Phillip Berman a finalist for the 2011 Health Care Heroes Award in the "Research and Innovation" category. Berman, the Baskin Professor of biomolecular engineering, is a pioneer in the development of vaccines for AIDS and other infectious diseases. Berman and the other finalists for the Health Care Heroes Awards will be profiled in the June 3 issue of the Business Journal and honored at an awards ceremony on Thursday, June 2, at the Computer History Museum in Mountain View. 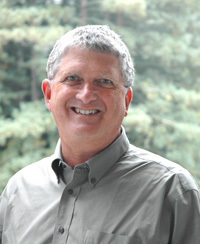 Berman joined the faculty of UCSC's Baskin School of Engineering in 2006 after nearly 25 years of experience in the biotechnology industry. At UCSC, he is continuing his work on the development of a vaccine to prevent HIV infection. Berman invented the AIDSVAX vaccine while at Genentech in the 1990s and later cofounded VaxGen, a company focused on clinical development of this vaccine. As head of research and development at VaxGen, he oversaw the first two large-scale clinical trials of AIDSVAX, which failed to show efficacy. Later, AIDSVAX was combined with another experimental vaccine (ALVAC, produced by Sanofi Pasteur) in the RV 144 trial, involving 16,000 adult participants in Thailand. The combined approach was designed to stimulate both cellular and antibody-based responses by the immune system, whereas previous vaccines stimulated just one or the other. The results, announced in 2009, showed that this vaccination strategy was safe and 31 percent effective in preventing new HIV infections. It was the first AIDS vaccine trial to show promising results and, coming after many disappointments, it led to renewed faith in the possibility of an effective AIDS vaccine. Berman's current AIDS vaccine research is funded by grants from the National Institutes of Health totaling about $6.5 million. The focus of this research is on antibodies that are capable of neutralizing a wide range of HIV strains. Such "broadly neutralizing antibodies" are necessary to stop the virus because HIV is extremely variable, constantly evolving to evade the immune systems of infected individuals.